If you are reading this post you are most likely looking for a modular building or portable classroom to rent or buy sometime in the near future. 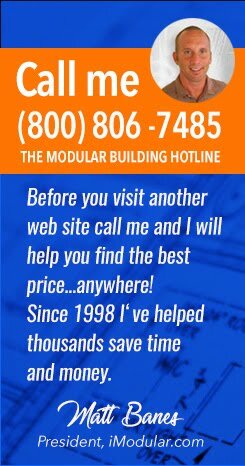 If so here is a video I put together to show you how to use the free online price quote tool on our partner web site www.iModular.com. It's six minutes that will save you hundreds...maybe thousands of dollars and a boat load of time trying to find a good supplier.